Get ready to protect and serve when you’re wearing your trusty Police Belt Set. This authentic looking accessory comes decked out with everything a crime fighter needs to save the day. 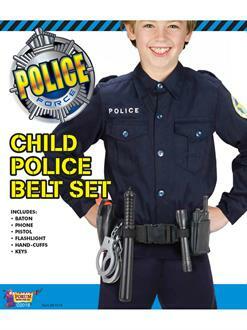 This product includes the vinyl belt with baton, phone, hand-cuffs, keys, pistol and a flashlight.